Wow. I do not even know where to start with this book. This book just completely blew me away. I loved every single second of it. When I started Inbetween I was heavily expecting a cute love story... and it is. But Inbetween is so much more than just that. It's fast-paced action packed and had my heart racing so many times throughout the book. Emma has always has accidents. Near-missed with death and so she always has to be cautious. But are they all really accidents? Or is there something more to it. Finn has to protect Emma at all costs. It's his fault that she is targeted by the spirits. He will give anything to protect the one he loves. But can he find a way to save Emma as well as saving himself? I loved this book. I could not put it down. It is so amazing. Inbetween in only the second book I have read about Reapers, the first being Rachel Vincent's Soul Screamers series, so the whole Reaper concept is pretty new and original to me. This one blew me away. I was sucked in from the very first page and couldn't put it down. I was completely hooked to Finn and Emma's world. Tara's writing is just phenomenal and I am definitely a fan of her writing style. This book could have very much been very dark a dramatic with the reapers and the events that was happening but Tara's writing kept it very light and funny and turned it into a cute love story. I loved that. There are way too many dark and dramatic books n this genre and not nearly enough light-hearted ones. 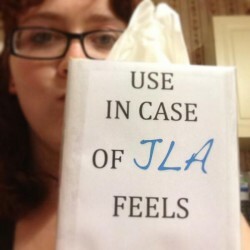 BUT do not take that to say there's no emotion. I felt so much for these characters. I was laughing and crying. I was so heart-broken at one point I was just sat crying to myself. This is definitely a book that you will be come very emotionally invested with the characters. I love that. If an author can make me feel that much emotion for their characters they definitely have bonus points from me. Emma is such an awesome character and I love her. I love how vulnerable she is at the beginning but by the end she was strong and ready to fight. You really see her grow a lot and I really loved that. She was vulnerable but never once did I get the feeling that she was being mopey and annoying. She grew into such a strong character the more she found out about what had happened to her and what was going on. Finn, *insert dreamy sigh here*. He is PERFECT!! I definitely fell head over heels in love with Finn. He is everything that any girl would want in a guy. He's sweet and charming and loving and I just adore him. All the way through you just see his intense love for this girl and how he will do anything to protect her, even if it means sacrificing himself. He is perfect. Then you have Chase. I love Chase too. He's definitely more of the bad boy and I love him so much... just not for Emma. I really hope we see more of Chase in the next book in this series and maybe get to see the story from his point of view. Chase is such a fantastic character and I really wanted to get inside his head and see what he was thinking and what he was thinking. I have hopes that we will see more of him in book 2. I really loved all of these characters and as much as I can't wait to see what happens to the main three characters I also can't wait to see what happens to the other Reapers. They may not have been 'main' characters but they were very important to the story and I'm looking forward to reading more about them. This book is just fantastic. I loved every moment of it. I was laughing one moment and crying the next. It was definitely an emotional rollercoaster for me while maintaining to be a cute, light-hearted story. I loved that. 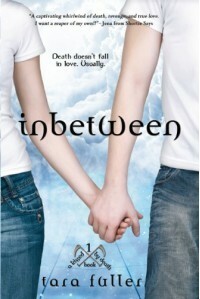 If you want to fall head-over-heels in love with a great love story with a paranormal twist, Inbetween is definitely for you. A must read! "Before you, there was only dark. You lit up my whole world, like the sun bursting through the clouds on a stormy day."